French-speaking populations, historic stone buildings and charming little bistros, will have you thinking you’ve dropped into Europe. Immerse yourself in the pleasures of traditional boulangeries and patisseries, or treat yourself to a steaming plate of the local delicacy, poutine, from a roadside cabane à patates. French fries and cheese curds are smothered with gravy and topped with some luscious optional flavours such as lobster, roast chicken, truffle or foie gras. Some might call it a posh version of chips and gravy; we call it carb heaven on a plate. 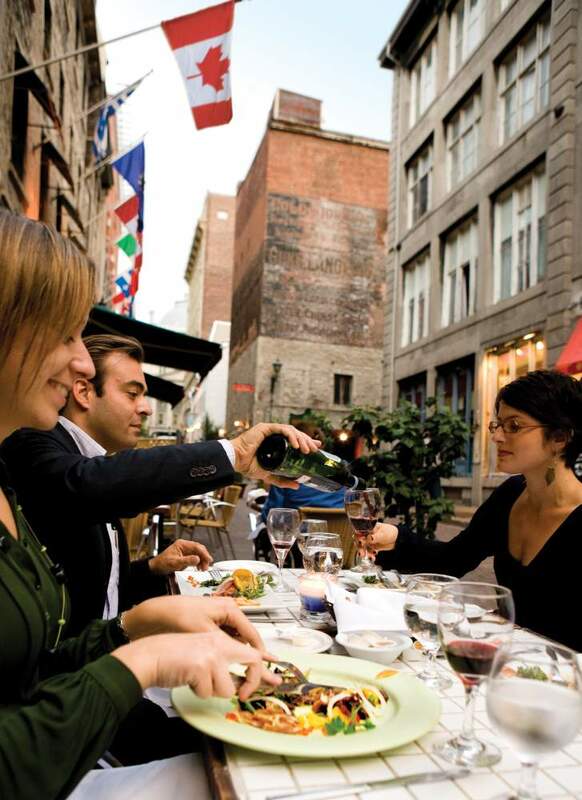 For upscale, oft-awarded French nosh, book in advance for a table at Montréal restaurant, Toqué! With a duck magret that does justice to its Madeira sauce, and a strawberry and red wine Savarin that will blow your mind, the restaurant deserves its self-appointed exclamation mark. Named among Elite Traveler’s top 100 restaurants in the world, Toqué! 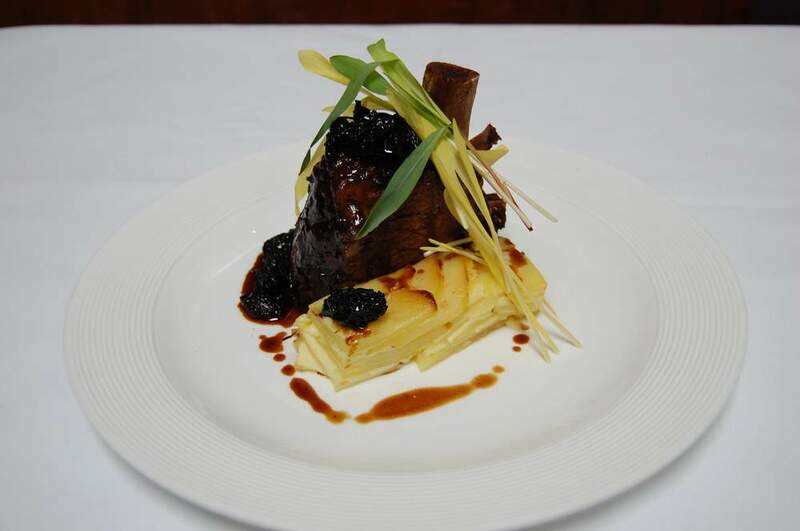 is under the direction of master chef Normand Laprise, and is a member of Relais & Châteaux. Canada’s vast interior was opened up and modernised by the ribbons of rail track linking cities and country towns from north to south and east to west – 48,000 kilometres of track to be precise – bringing together hundreds of communities in the planet’s second-largest country. The hard work has been done. All that’s left for you to do is settle into your seat and watch the view unfold through the train’s picture windows as you glide past cityscapes and small towns, around tranquil lakes and through forests teeming with wildlife. 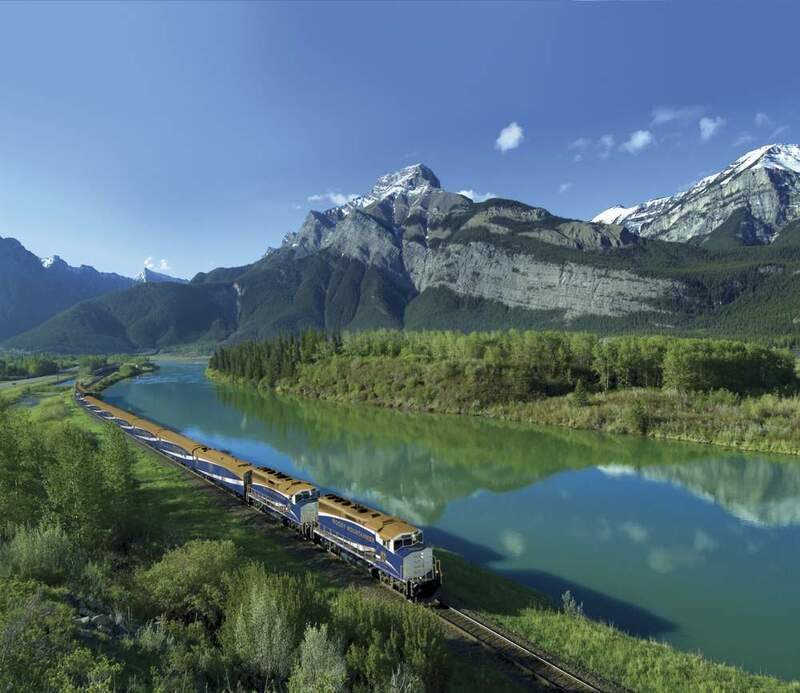 A rail holiday is one of Canada’s signature experiences; VIA Rail serves 450 communities throughout Canada. Hop on one of its trains and be transported to ski fields, national parks, historic sights, modern airports and thriving cities, or travel cross-country or on a shorter-haul leg. Spend hours relaxing to the rhythm of the tracks or mingling with fellow passengers over a glass of wine in the dining car. Be awed by the engineering brilliance of the minds and hands that built train tracks across the Rocky Mountains. On the Rocky Mountaineer trains luxury awaits. From fine dining and wines to large comfortable seats and windows that stretch up to the roof for better sightseeing, this is a quality experience from the first whistle to the last. 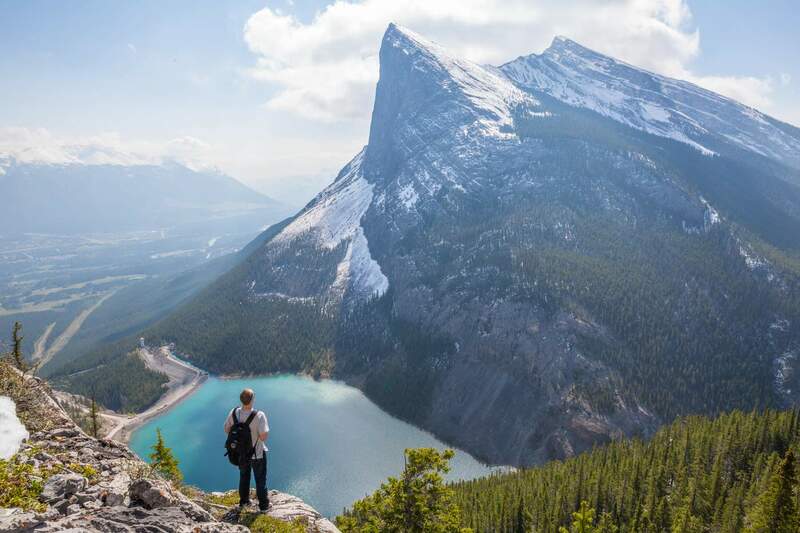 Hop aboard in Vancouver and ride the rails to some of the most beautiful alpine locations in the world, such as Jasper, Banff and Lake Louise. More than a million visitors annually can’t be wrong. Calgary Stampede is a spectacle of epic proportions, hailed as the “greatest outdoor show on Earth”. Thousands of horses, cowboys and cowgirls come together to see the world’s best rodeo athletes compete in roping, riding and chuck wagon events. At the richest rodeo in the world, the stakes are high, the hopes are even higher. Winners take on legendary status. Beyond the thrilling competitions and feats of athletic bravery and precision, another Calgary beckons. 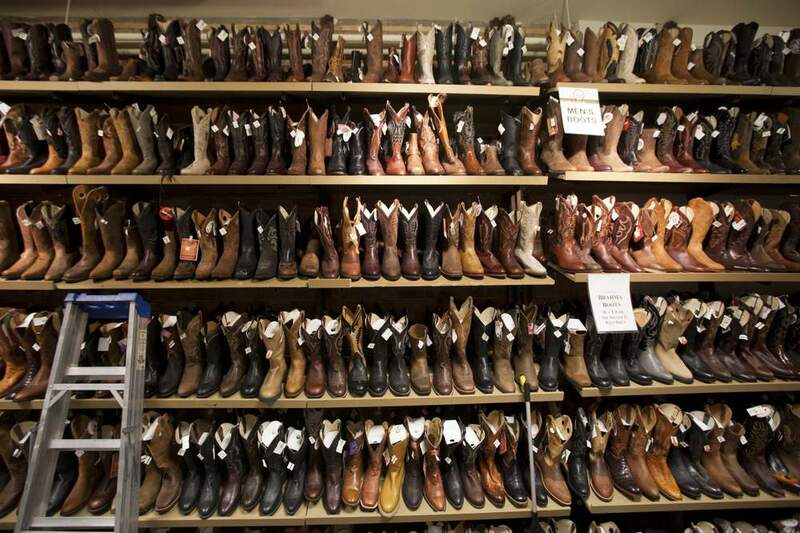 Cowboy bars erupt to the sound of boot-scooting’ country music, and cowboy cuisine extends to much more than steak and fries. In fact, Calgary is fast gaining a reputation as a city undergoing rapid, exciting change. New and better restaurants open every month, more art galleries have popped up and the city is stepping into its place as a modern, stylish city. At Hotel Arts, Calgary’s designer boutique hotel, the décor and atmosphere would be right at home in Manhattan. The hotel’s poolside patio area is decorated with original art and has become the place for pretty young things to meet for weekend brunch. Live DJs and fabulous cocktails encourage diners to linger longer; restaurant patrons dining on the patio are welcome to stay on after dining and enjoy the pool. The warmer months of June through to September herald the much-anticipated summer festival season in Canada. A welcome opportunity to head outdoors, catch some rays and soak up the Canadian culture of fine art, great music and delicious bites. Two of the best happen in Québec. 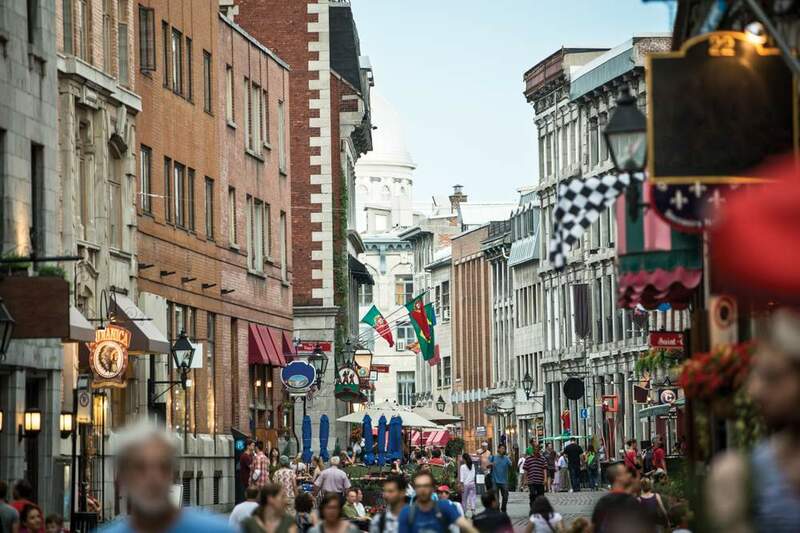 The Québec City Summer Festival in July attracts about one-and-a-half million visitors and hosts some of the world’s best music and street performances. Montréal’s International Jazz Festival is a behemoth, featuring around 3,000 artists from more than 30 countries performing more than 650 concerts over 10 days for 2.5million visitors. It is the largest jazz festival in the world. Since its launch in 1980, many of the jazz world’s best-known names have appeared, including Ray Charles and Chick Corea. Festival fever brings many hundreds of thousands of visitors to Québec so book and plan your summer visit several months in advance to nab the best accommodation and concert tickets. Need an excuse to plan a trip to Canada? Look no further than Aurora Borealis. 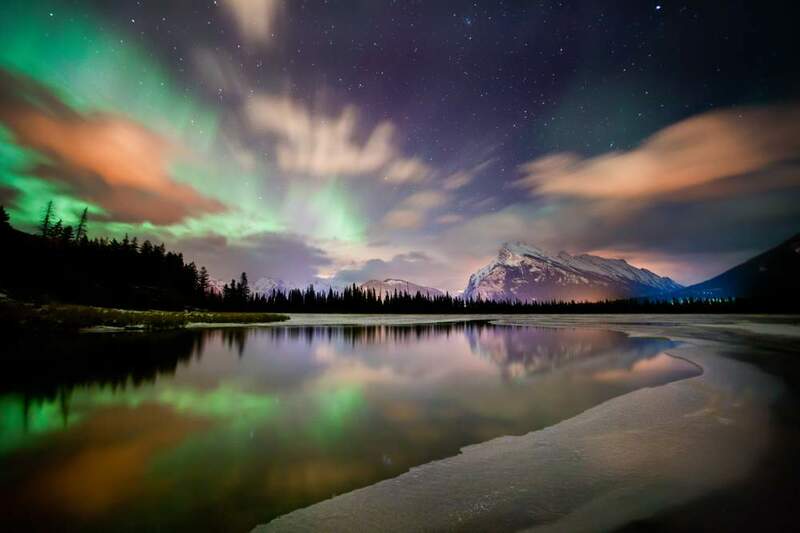 Also known as the Northern Lights, they are best spotted in the far northern hemisphere, from Newfoundland to Nunavut, and from the heart of Yukon to the farthest northern reaches of Québec, where the night sky lights up in spectacular colours. When electrons and protons collide with gases as far as 500 kilometres above the Earth’s surface, flashes of colourful light are created that span the spectrum from green to blue to purple and yellow. Billions of flashes can occur in rapid succession, and so it seems the lights are dancing across the sky. Local experts say the best time to visit is from late-September to late-March. Wear plenty of layers and embrace nighttime in the great outdoors. Aurora-spotting is unforgettable while fly-fishing under the starry sky in far northern Québec or on a cross-country ski adventure in Yukon. Learn about the mysteries of the Aurora from the indigenous Inuit people who have observed for generations their power and beauty. If cold weather and bracing adventure are beyond your comfort levels, however, consider a stay in one of the rustic lodges in the Northwest Territories. From there you can light-peep through the windows, warm and cosy inside. The Yukon is where the wild things are. 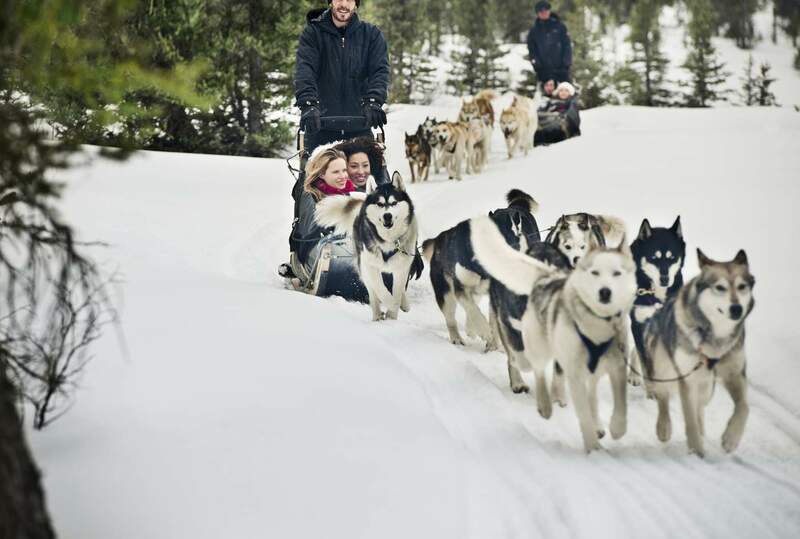 The most accessible of Canada’s northern territories, the rugged north rewards visitors with awesome wilderness landscapes, plus the opportunity to go dog-sledding, snowmobiling, kayaking and horse riding. The catalogue of Yukon experiences on offer reads like a Choose Your Own Adventure, complete with heritage sites from the Gold Rush days and the invitation to prospect for gold under the midnight sun. Over in British Columbia, the Great Bear Rainforest is an exhilarating wildlife encounter where the local Kitasoo-Xai’xais people guide visitors through what is the single biggest intact temperate rainforest in the world. Visitors learn directly from the First Nation people about the experience of Canada’s indigenous population and the ancestral traditions that continue today. 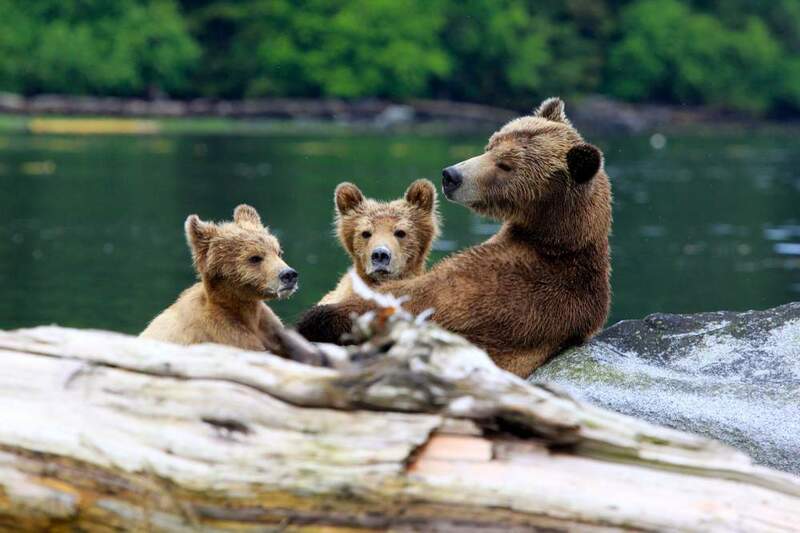 The rainforest is teeming with grizzly bears and wolves, and dedicated bear-viewing tours are offered. At the end of the day, relax at Spirit Bear Lodge, waterfront accommodations that have been built in a style that recalls the traditional long houses built for centuries by west coast First Nation people. Fairmont Hotels & Resorts. 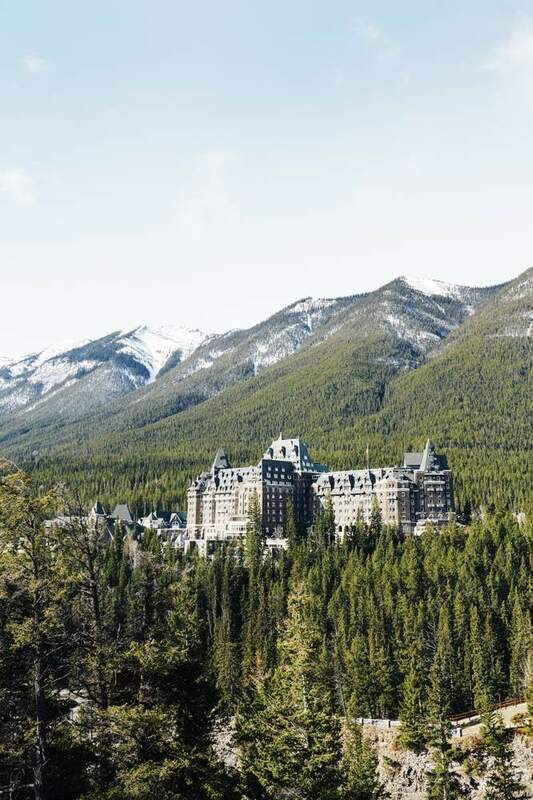 With 19 historic properties holding court around the country, many built more than 100 years ago by the railway barons who successfully opened up this vast country, Fairmont is a brand respected by many. Hotel guests missing their fur babies will be happy to meet Fairmont’s Canine Ambassadors. Several of the pet-friendly hotels are home to resident lobby dogs, and guests are encouraged to take them for a walk. Beau, a yellow Labrador who lives at Fairmont Hotel Vancouver, is Mr Popularity. Come in from the cold at Fairmont Banff Springs Hotel, a magnificent hotel in Banff National Park, affectionately known as the Castle in the Rockies. Or opt for country tranquility in the Québec countryside, where the elegantly rustic Fairmont Le Château Montebello has welcomed many of the world’s leaders and business heavyweights. Francophiles will feel right at home at Fairmont Le Château Frontenac, a turreted Québec City hotel inspired by grand French castles. A National Historic Site of Canada, it has been lauded as the most photographed hotel in the world. The British Royal family chooses to stay at Toronto’s premier hotel, the Fairmont Royal York. Insiders have stayed mum on whether Queen Elizabeth II, who occupies the Royal Suite when in residence, has sampled the honey produced by 350,000 bees in the rooftop terrace’s beehives. Guests rave about the cosy wood interiors and fireplaces in every room at Four Seasons Resort and Residences Whistler, not that you’ll be spending all your time staring into the flames, glass of red in hand. The resort is in a prime location for adventure-seekers, within easy reach of 200 ski trails, 50 mountain bike trails and four championship golf courses. The Four Seasons’ over-and-above service is easy to spot. An in-house ski concierge takes care of guests’ gear – skis, poles, boots and helmets – and has them ready for pick-up each morning. Hot chocolate and s’mores are served après-ski, while complimentary wine-tasting is the perfect start to any evening. A soak in the outdoor heated pools – eyes on the snow-capped peaks – is hard to beat as the perfect end to the day. Built in 2004, Four Seasons Whistler offers 291 luxury lodge guest rooms, including 95 suites and 18 private residences. 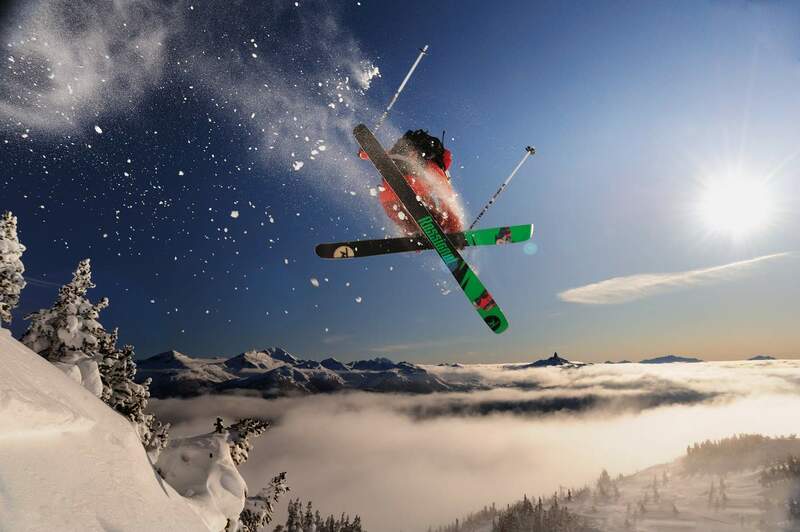 Whistler, of course, is one of the most popular and cosmopolitan mountain destinations in Canada. Just 90 minutes’ drive from Vancouver, the resort is at the base of Blackcomb, and an easy walk to Whistler Village where dozens of quality restaurants and more than a couple of hundred shops can be found. For those who linger over dinner in the village, the resort’s complimentary shuttle is a welcome ride back to that cosy fireplace. Taking an open-skies policy to a new (luxury) level, God’s Mountain Estate, a Mediterranean-style villa on the eastern shore of Skaha Lake in British Columbia, delights grown-up backyard campers with its open-air, roofless suite complete with a private tub and a dreamy four-poster bed. Others opt for the penthouse, with its Santorini-meets-English-countryside décor, breathtaking lake views and refreshingly affordable rates. 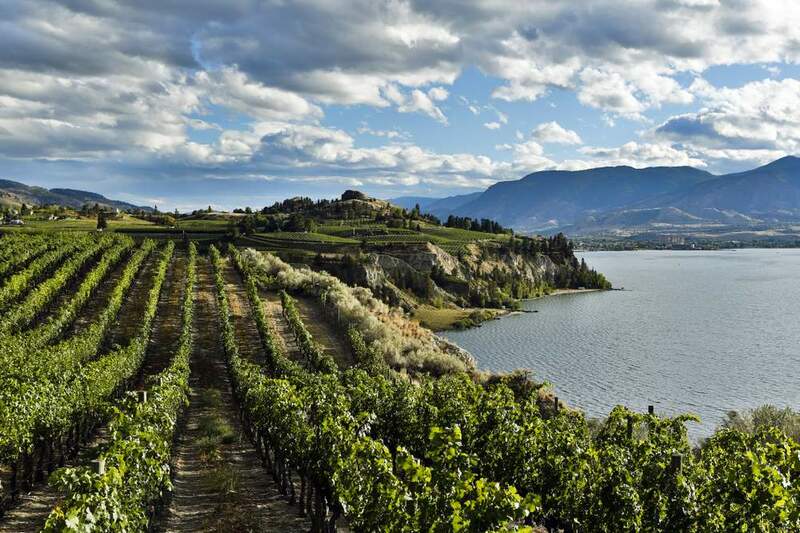 In the heart of wine country, the estate cocoons guests in an air of pampered seclusion – “do nothing, and rest afterwards”, they say – with an abundance of Okanagan wine and local produce on hand. The estate’s signature Alfresco Dinner Experience (served by the lake, with cuisine by Joy Road Catering), is bucolic bounty at its best. Served every Sunday evening in the summer, the four-course dinner of farm-fresh cuisine is paired with local vintages. The Winery Dinner Series, served on select Thursday evenings, offers guests opportunities to mingle with local winemaking families while sampling Okanagan boutique wines. 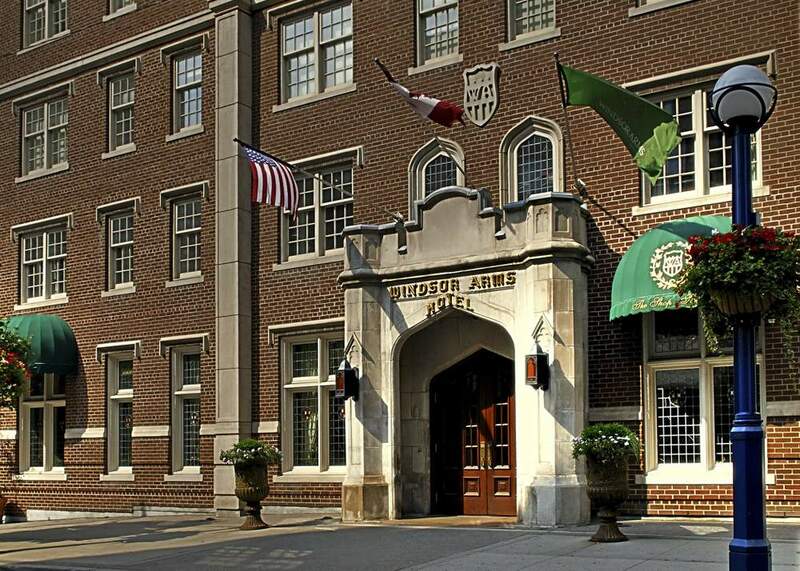 Toronto’s Windsor Arms Hotel might well have appealed to the likes of Jay Gatsby. The discreet service and old-fashioned charm of this five-star boutique accommodation, first offered in 1927, have been retained for a new era of modern luxury at the hotel. Images of Hollywood legends that have stayed at the neo-gothic hotel during the past 90 years line the hallways. (Oh, hey there, Elizabeth Taylor and Richard Burton.) The hotel’s film cred runs deep: it was here the Toronto International Film Festival was founded in 1976, and the partnership continues. 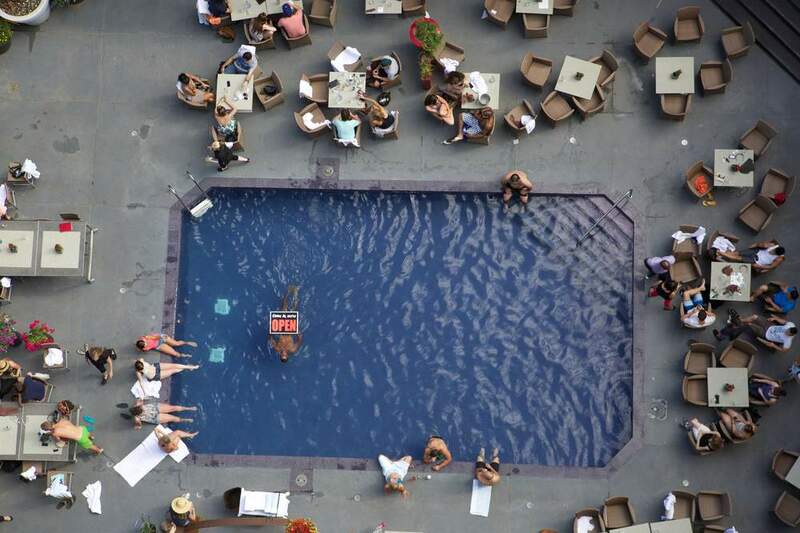 Located on a quiet street in the upscale Bloor-Yorkville neighbourhood of Toronto, the hotel is surrounded by designer boutiques, art galleries and popular restaurants. With five staff to each guest, as well as butlers and 24-hour room service, no whim need be left unattended to. Take a dip in the saltwater pool or take afternoon tea, a tradition that has continued since the 20s. What could be better than an authentic wilderness lodge experience in Canada? Seven unforgettable wilderness lodge experiences. The Magnificent 7, a collection of luxurious family-owned accommodations in spectacular locations including the Great Bear Rainforest, Cariboo country and sub-Arctic Hudson Bay, is the gateway to outdoor adventures a million miles from everyday city life. There’s a lodge for every outdoor pursuit: horse riding, fly-fishing, whale-watching and heli-skiing to name a few. At Churchill Wild, for example, guests set out each morning from eco-lodges in the heart of Arctic Canada for a ground-level hiking safari through polar bear country. Caribou and wolves are often spotted, as well as polar bears aplenty. Bragging rights, guaranteed. At the remote Siwash Lake Wilderness Resort, an exclusive frontier-esque hideaway of elegantly rustic cabins is the perfect base for joining a helicopter safari above the mighty Fraser Canyon or for working on your equine Zen as part of the Siwash Synergy with Horses program. Of course it was Canadians who championed the idea of the 100-mile locavore diet, the practice of eating only food grown within a 100-mile (161 kilometres) radius of their homes. Eco-conscious, insatiably ravenous for great-tasting food and with an eye on sustainability, Vancouverites in particular are leading the way the rest of the world eats. The Vancouver food scene is progressive, embracing local and organic practices. A feast of farmers’ markets, food festivals, cooking schools and even a slow-food cycling tour are available for the gourmand who strives for low-impact consumption. Take a stroll around Granville Island’s incredible Public Market, where the city’s top chefs and home cooks shop for local produce, and you’ll see that eating local is no chore at all when your farm-to-market local fare is so delicious. Here, you’ll find enormous juicy strawberries, a hundred ways with salmon, organic coffee and many varieties of wine from the Okanagan region. Stop by Lee’s Donuts or Granville Island Brewing and you might be tempted to move here. Wine snobs will have something to crow about when they sip and swirl at 360 Restaurant, the on-high culinary destination at Toronto’s CN Tower. Recognised by Guinness World Records as the world’s highest wine cellar, 360 is open daily for lunch and dinner with prix fixe and à la carte options. An impressive list of more than 550 wines – including pinot noir and chardonnay from the local Ontario vineyards – is available from the cellar in the sky. Wines by the glass, from $12, offer plenty of choices and stay fresh thanks to an advanced wine preservation system. Sup on an iced seafood platter or Alberta prime rib as the city twinkles 350 metres below. Popular for date nights and proposal dinners, the prix fixe dinner at 360 Restaurant grants complimentary access to the Look Out and Glass Floor levels of the CN Tower. On a clear night, while you might not be able to see forever, you can see the impressive Toronto cityscape. Toronto chefs are greedy for awards, gobbling up more than their fair share of accolades in Canada’s best restaurant rankings. Of course, this is great news for both locals and visitors there’s a burgeoning bucket list of restaurants that must be dined at to be believed. 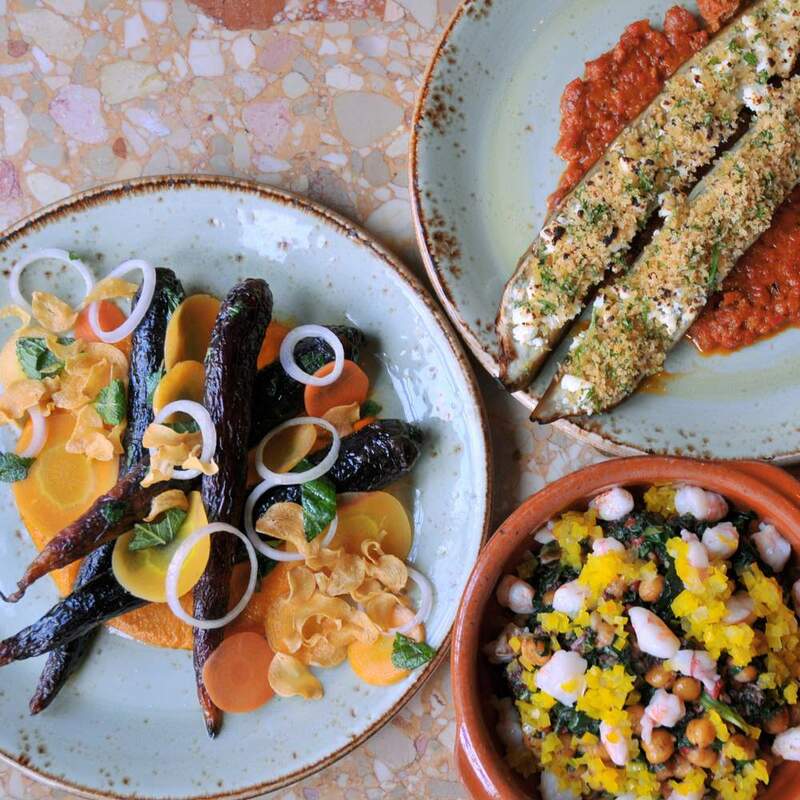 Those in the know say chef Jay Carter’s vegetable-forward Dandylion is progressive and exciting, a rallying cry to meat-loving diners to make some room on their plate for delicious and surprising ways with veggies. 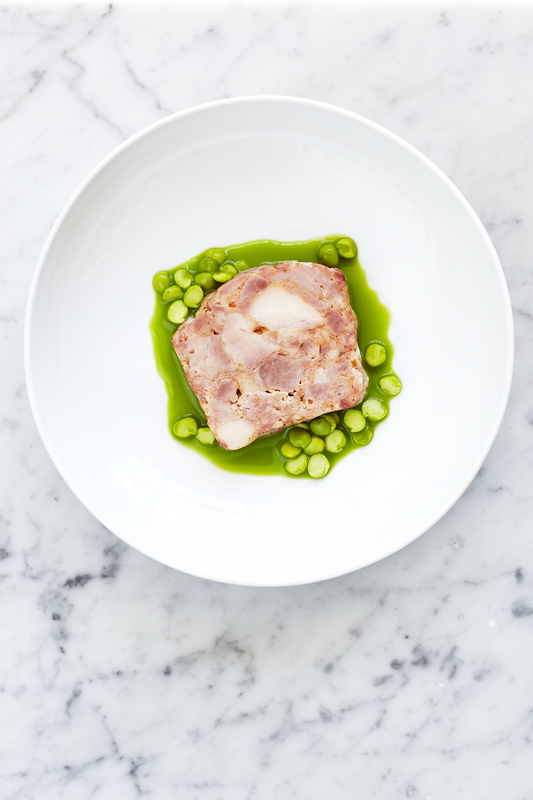 At Edulis, Spanish and French flavours, and ingredients are passionately integrated into Canadian dishes. 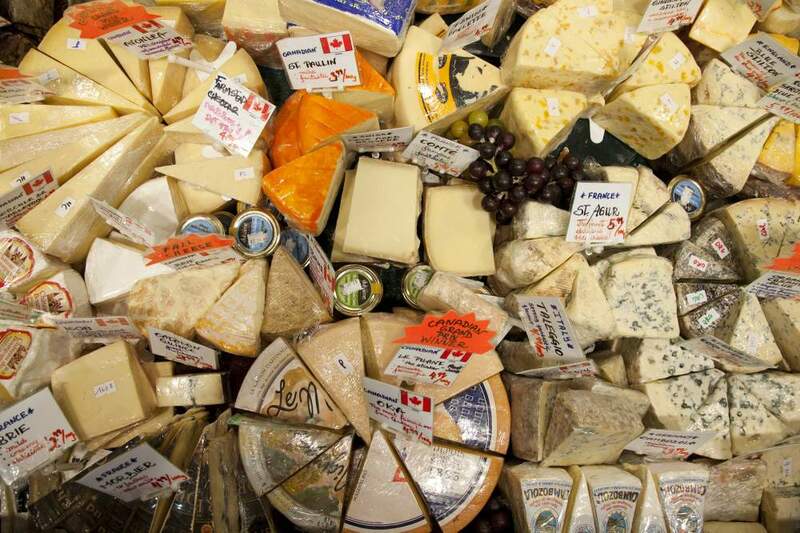 Expect to eat plenty of jamón and ajo blanco, as well as truffle, wild mushrooms and local cheese. At Bar Isabel, late-night eats are served with a side order of hot jazz. The kitchen stays open until 2am every Friday and Saturday night (and midnight otherwise), turning out Spanish tapas with an emphasis on seafood. There’s also a decent selection of very good wines available by the glass. A stellar team of heavy hitters run the show at Alo, one of Toronto’s finest restaurants. Focusing solely on tasting menus, the team is able to deliver a dining journey that might include Nova Scotia lobster with smoked paprika or rack of pork paired with Swiss chard, pistachio and bing cherries. If you have commitment issues, à la carte ordering is possible at the bar. 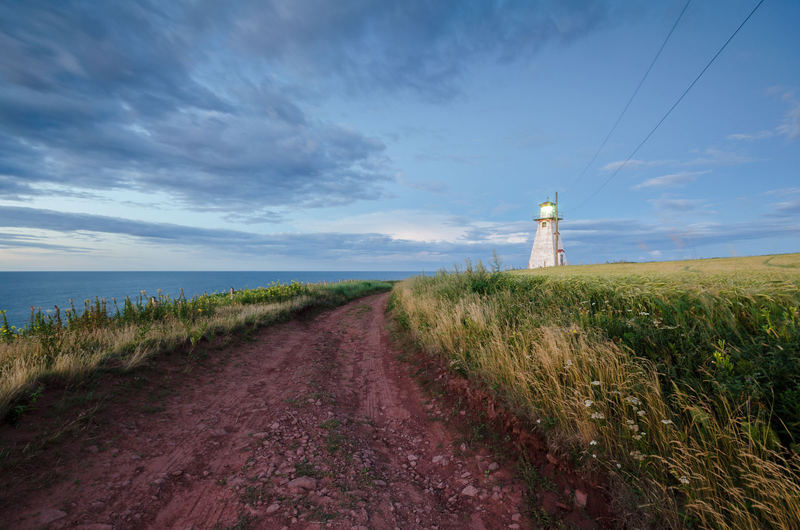 Prince Edward Island may be best known as Anne of Green Gables territory, but for the thousands of tourists who arrive each year to pay homage to the carrot-topped orphan, a tasty surprise awaits. The island on the east coast of Canada is brimming with seafood so fresh, you’ll be glad you’re alive to eat it. 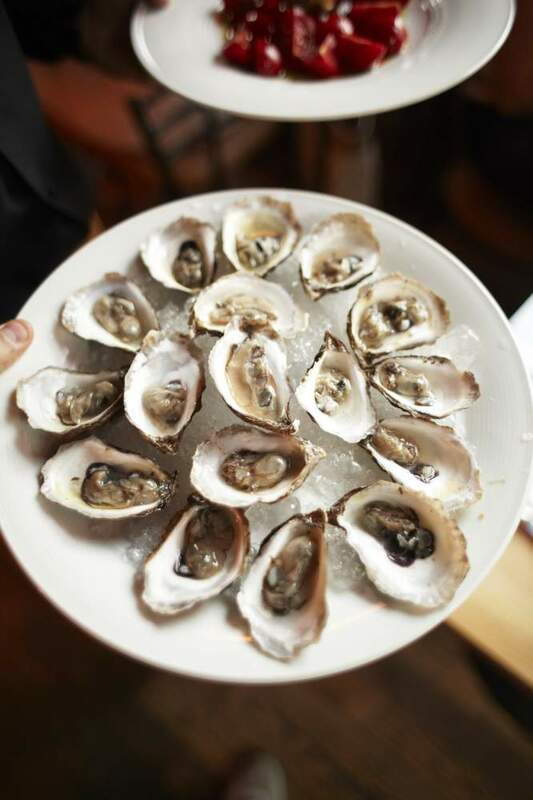 From lobster dinners to giant clam digs and an entire festival dedicated to shellfish, Prince Edward Island is all about the ocean’s bounty. Ringed by expansive beaches, dotted with fishing villages and anchored by lighthouses just waiting to be explored, the island’s pace is relaxed and the vibe is friendly. Set off with local fishermen on a morning sail to catch mussels, lobsters and clams or kick back with a beer to watch the sunset from Point Prim Chowder House – their creamy chowder could be called “Canada in a cup”. Right beside the island’s oldest lighthouse, the restaurant enjoys a spectacular oceanfront location and a menu of just-caught seafood. Presented by Destination Canada in association with Gourmet Traveller.